14 year old glider pilot Ben E has converted onto Stratford on Avon Gliding Club’s Astir single-seater today. 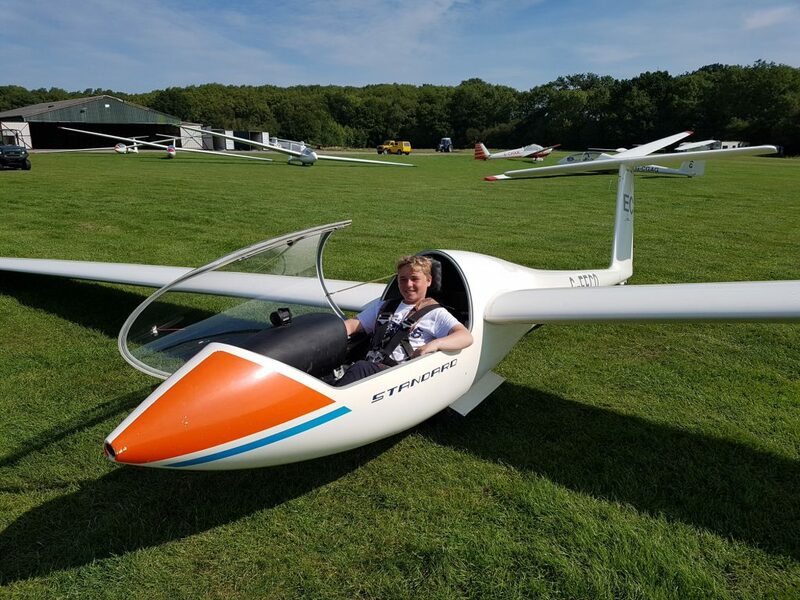 Ben, who went solo only ten months ago on his 14th birthday at Snitterfield recently spent a week crewing for another Stratford junior pilot at the UK Junior Nationals competition at Nympsfield. Already flying the two seaters and the SZD Junior single seater, the Astir is Ben’s first serious cross-country capable aircraft with retractable undercarriage and water ballast systems. Ben will be able to enter cross-country competitive flying himself when he turns 16 and completes his Silver C. In the mean time, he will be able to work towards his Bronze Endorsement / Licence. This entry was posted in News and tagged astir, gliderpilot, juniorgliding by admin. Bookmark the permalink.